Josh Syms’ excellent new series, focusing on techniques adopted by both sides at the breakdown, illustrates the amount of coaching time now devoted to body positions in contact. 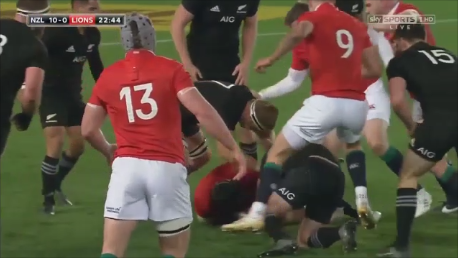 It is also probably one of the technical areas in which the Lions were able to surprise the All Blacks with the quality of their play in the 2017 June series. The tendency of Lions’ ball-carriers to adjust their position on their ground, typically by performing a ‘power roll’ to take the ball away from a potential robber and give the support players extra time to arrive, was an important factor in their ability to keep ball and avoid turnovers. 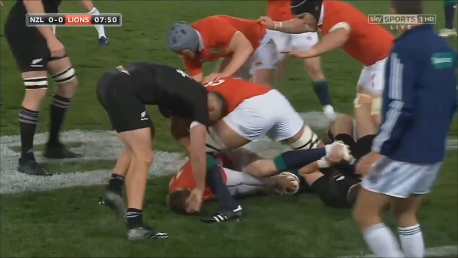 During Joe Schmidt’s tenure as head coach, Ireland has probably led the way (at least in the Northern Hemisphere) in terms of advanced thinking about ball control. All aspects of breakdown play, including angle of cleanout entry to the tackle area, prioritizing one side of a ruck over another, the position of the ball-carrier on the deck and his preferred ball-placement in different attacking scenarios, have all been examined and dissected. If you want to run a ball-control offence with long periods of possession, methods to win ‘the fight on the ground’ are crucial. For the ball-carrier, this means being pro-active. As Josh Syms explains in the third part of his presentation, it is not enough to simply lay the ball back without thinking in the modern game, even at a full arm’s length. The timing of the placement and choice of options in presenting the ball are all key, as is the ability to withstand a challenge and offset the ‘jackal’ above you. 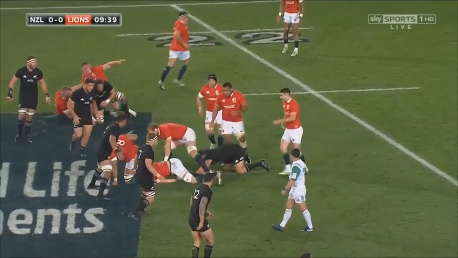 The first Test between the All Blacks and the Lions at Eden Park showcased a number of techniques described by Josh Syms, as they were interpreted by both sides. 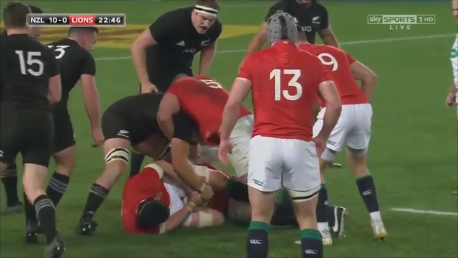 Sean O’Brien pulls his shoulder down as a preface to feeding back in the squeeze-ball position (as in the Daly example) but Cane is powerful enough to drag it back up and catch the process only halfway complete! Technique on the ground at the post-tackle is becoming ever more detailed and focused from a coaching standpoint. As Josh Syms’ series indicates, several different techniques are available to help the ball-carrier produce a quick delivery in contact and offset threats above the ball. 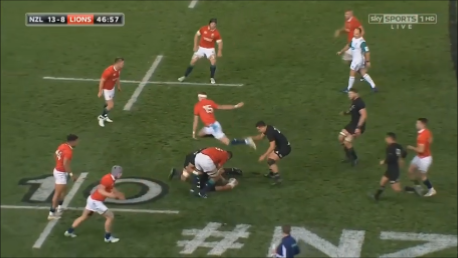 The ball-carrier can choose to ‘shoot’ back towards his support if he has the space and time, or ‘squeeze’ it back between his legs and flatten out if he’s in heavier traffic. The most important factor of all is mind-set. Ball-carriers cannot approach contact thinking the ball can be placed back automatically. They have to be proactive and show a strong ‘core’ desire to move their body away from threats into the most suitable position for the attack to continue without losing momentum. They need to think and act ‘on their feet’ even when they are lying on the deck!